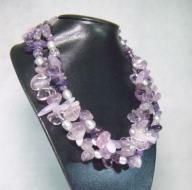 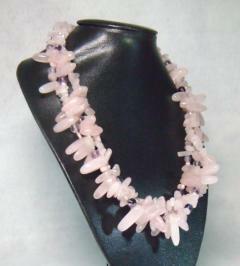 A luxurious triple strand necklace of Rose Quartz, Fluorite and pink freshwater nugget Pearls. The strands have been lightly plaited together to give a soft drape to this gorgeously romantic Princess length necklace. 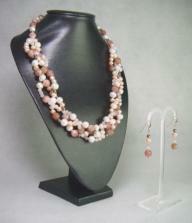 The Opulence Jewellery Collection features luxurious, gem-heavy statement pieces.